Built in 1924 on the flanks of Mount Royal, this cultural-heritage religious building is remembered for once being the motherhouse ofreligious order Sœurs des Saints-Noms-de-Jésus-et-de-Marie. Formerly the residence of 500 nuns, since 2005 the architectural jewel has been situated within the borough of Mount-Royal, a district both historic and endowed by nature. Its magical charm emanates from the majestic façade of the heritage structure. 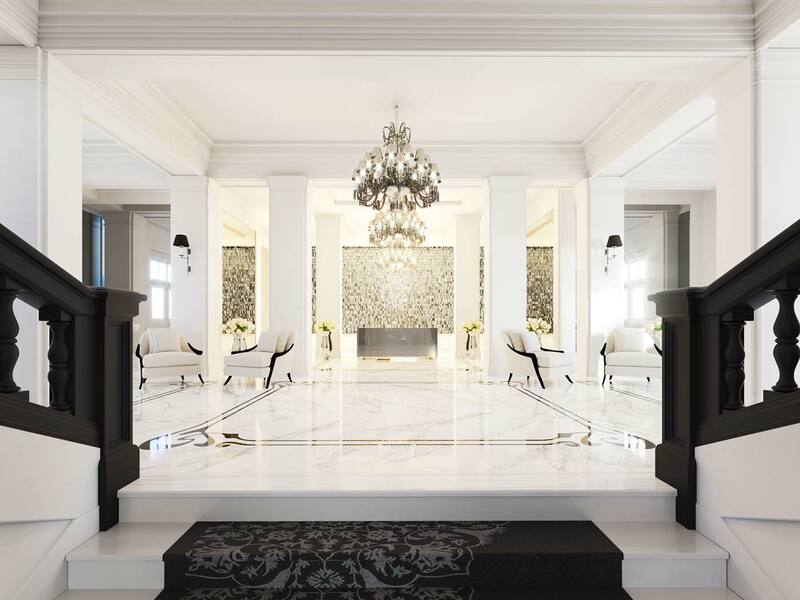 The voluminous entrance hall is as vast as it is elegant. Wherever you set your eyes, you’ll be treated to thedistinctive splendour of 1420 Boulevard Mont-Royal, crowned by the grand magnificence of the original chapel, now a multifunctional space for all manner social and artistic events. Sublime in every way! You are unique. So it’s quite natural that your place of residence also be unique. That’s why we invite you to customize your unit to make sure it becomes a natural extension of your personality. You alone will become the architect of your living space, choosing anything you wish in its orientation and configuration -- its very essence. The superb refinement of the project resides in residents’ ability to personalize their living spaces from A to Z. You’ll enjoy the privilege of choosing the orientation of your condominium, its view, and its interior configuration, all exclusive, made-to-measure benefits designed to accommodate your personal desires and highest expectations. That’s what it’s like when you choose to live at Le 1420 Boulevard Mont-Royal à Outremont sur la montagne.